Happy City / News / Whose story are we living? Whose story are we living? Stories, stories, stories. They are everywhere – in the papers, on our phones, woven through our histories and inside our heads. The stories we tell and those we absorb become the foundation for our life choices. 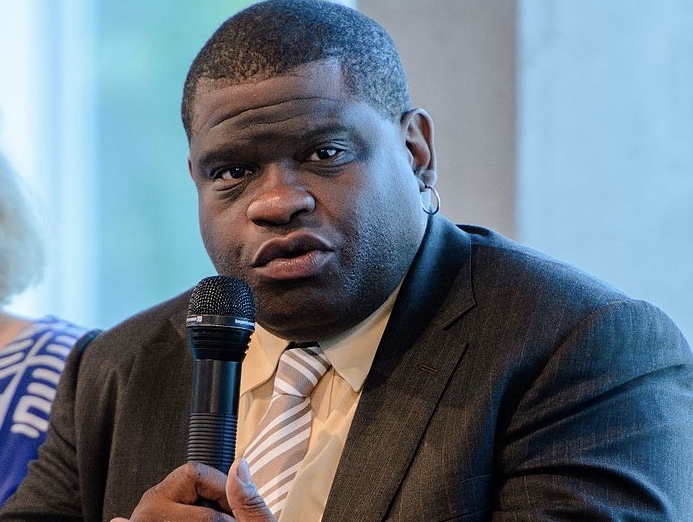 Last week I sat listening to the award-winning journalist Gary Younge. Told in his melodic tone, any story is likely to mesmerise its audience but his words went way deeper than that. As a storyteller of the highest order he challenged his audience to get curious about the ‘interesting place the world is today’. He reminded us of those larger stories that underpin so many others. The stories that shape nations, that start wars, that underpin religions and define culture. He implored us to get under the skin of a National Rifle Association (NRA) supporter whose story is strong enough to make him believe he is safer grasping his gun, against all evidence to the contrary. Or the story that allows us to find collective comfort by pigeon-holing knife crime as an affliction of young black men in London. The story that lets us believe we are a tolerant nation while turning a blind eye to the real implications of a ‘hostile environment’ policy on those amongst us from the Windrush generation and so many that are systematically treated as ‘other’. But there is one story he didn’t mention and that, in so many ways underpins even more. The story of economics. We have come to think of economics as a ‘thing’, almost a physical thing, that politicians and businessmen (sadly mostly men), shape and control. Yet economics is merely a story. It is an idea, and a fragile human one at that. All economic ideas that have ever existed are merely sets of assumptions, which give birth to often unwritten rules that end up shaping our world. The overwhelmingly predominant current story about economics has at its heart the assumption that economic growth is the route to ‘prosperity’. That with economic growth, a land of milk and honey will trickle, if not flow, down to even the ‘least’ in society. That without it we are collectively at risk of dire consequences. Because of this, the pursuit of economic growth is valued above all else and we are told we must do everything in our power to achieve it. This story then shapes everything. Our schools become places to deliver productive workers and good consumers, rather than nurture young people to find fulfilment and become great citizens. The health service focuses on curing illness for the lowest price, and old people become a cost not an asset on our collective ledger. The environment is a free resource to exploit and immigrants are ‘spongers’ unless they’re needed to fill ‘skills shortages’ for the economy. Politics becomes a place where big business, with deep pockets, controls people who were elected to serve and represent those with nothing. This story allows us to choose cheap and flammable cladding to wrap around the homes of someone’s mother, son, friend or lover; and then clocks up the costs of the clean-up operations, emergency services, insurance claims, hotels, and public enquiries as pluses on the balance sheet of GDP. All those things that make life worthwhile, from art to music, from trust, joy and sorrow, from the clean air we breathe to the free press we rely on to challenge our minds, are ‘externalities’ we can ignore, as they have no value to the end goal of economic growth. Can we look again at this story? How can we collectively rewrite it so that economics is a story based on a different set of assumptions? What if we agreed that money and stuff were merely means to a different end – our collective capacity to thrive – now and for generations to come? Could we start judging our leaders on how well they delivered the growth of more meaningful, happier lives in thriving communities? How would that story ripple out into our decisions day-by-day, place-by-place and country-by-country? So in response to Gary Younge’s challenge, I’d like to be part of a new wave of storytellers, who work together to tell a new story of our economy. One where we cease to be drip-fed a sense of inadequacy in order to keep us consuming more stuff, and where we start to build a new appreciation for the ‘value’ and ‘worth’ on display in every corner of our communities and planet.